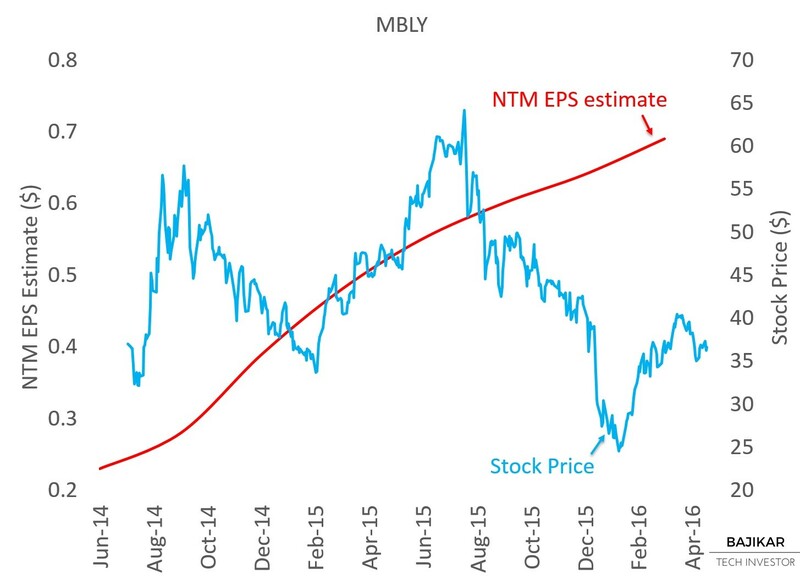 The chart below suggests that over its limited history (~couple of years) as a public company, Mobileye (NYSE: MBLY) stock price has not appreciated significantly even though NTM EPS estimate forecasts have been on an upward trajectory, indicating solid growth fundamentals. I think there are two potential explanations for the stock price action: 1) the stock has consistently traded at super-premium valuation, with a NTM P/E multiple of >100x, and 2) Nvidia (NASDAQ: NVDA) has emerged as a credible threat with a potentially superior solution enabling self-driving car capabilities. The chart below suggests that MBLY’s NTM P/E multiple compressed over the last 2 years, I believe driven in part by competitive threat from Nvidia. In mid-2014, MBLY was trading at NTM P/E of ~175x (“Old” in chart), while the stock is currently trading at P/E of ~50x (“New” in chart). Over that period, MBLY’s YoY revenue growth averaged in the 60% range. The funny (and unfortunate) thing here is that the company could continue to grow at a fast clip (i.e. ~50%+ YoY) but still not necessarily see appreciation in its stock price, as investors implicitly or explicitly worry about potential new competition, in addition to self-driving car market fundamentals. 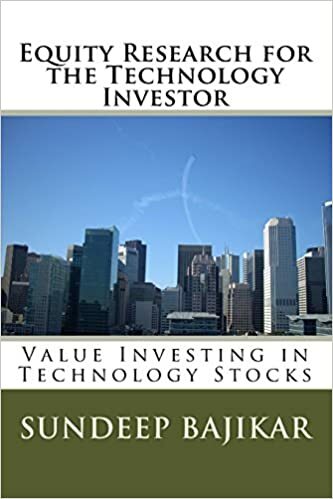 Disclosure: At the time of this writing, the acteve Model Portfolio did not hold any positions in MBLY or NVDA stocks. I am collaborating with Counterpoint Technology Market Research to develop proprietary reports that analyze the rapidly evolving self-driving car market in more detail.